Couple of weeks ago, my family and I were in the older part of Dubai and we decided to have dinner there. While scouting for a place to eat, we came across Mama Rouz, a multi cuisine restaurant with an elaborate menu. Mama Rouz is situated in a busy street of Hor Al Anz in Dubai. To find parking can be difficult, the plus point of the restaurant is that they offer free valet service. 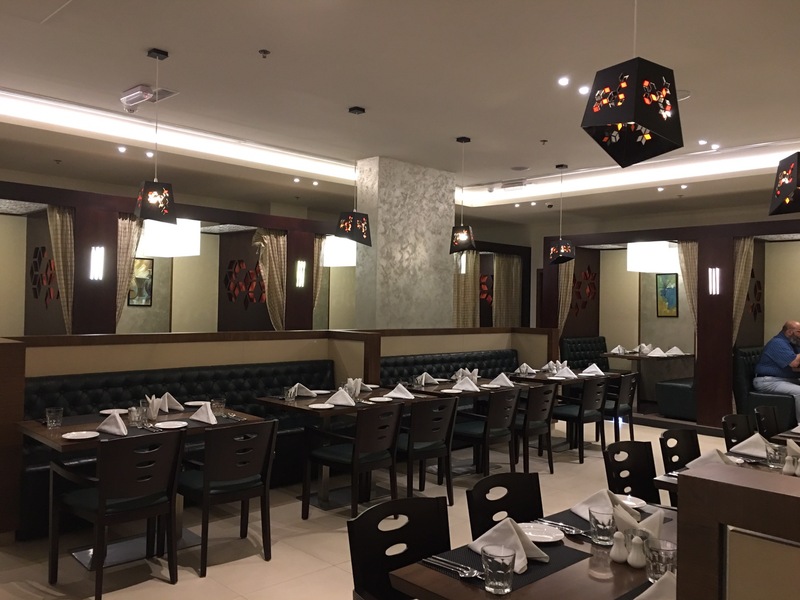 This family friendly restaurant is very spacious with pleasant interiors. Mama Rouz also offers private dining space. We were welcomed by the friendly staff and given a table of our choice. 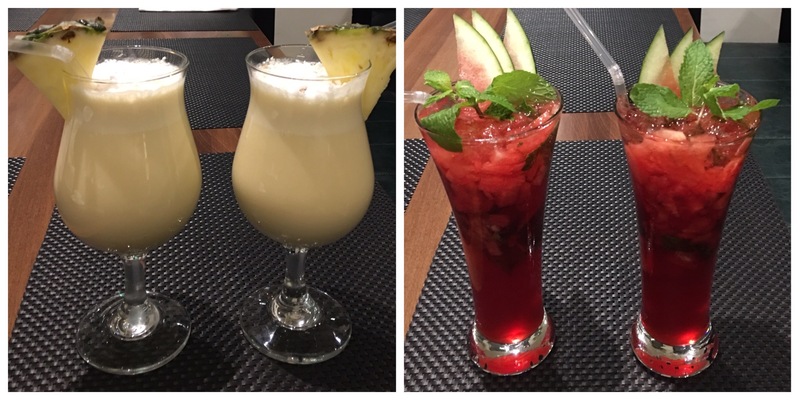 For drinks, we ordered two kinds of mocktails. While my hubby and I had Virgin Pina Colada, the kids had Berry Sweet Heart. The Pina Colada was a tad too sweet for our liking. But the kids loved their berry flavored mocktails. When you have kids, you always end up ordering French Fries and that’s what we did. The French Fries were the regular fries that we find in every restaurant. The Cheese Cigar had a crisp exterior filled with cheese inside. It was served on a nice looking platter. We found the exterior a bit too hard to bite. Arabic cold mezze with bread was served as a salad. We loved the creamy hummus. We ordered two different kinds of soup- Lentil Soup and Tom Yum Veg Soup. While the Lentil Soup was simple and tasty, the Tom Yum Soup was spicy and flavorful. We liked both of our soups. We liked our main course the best. 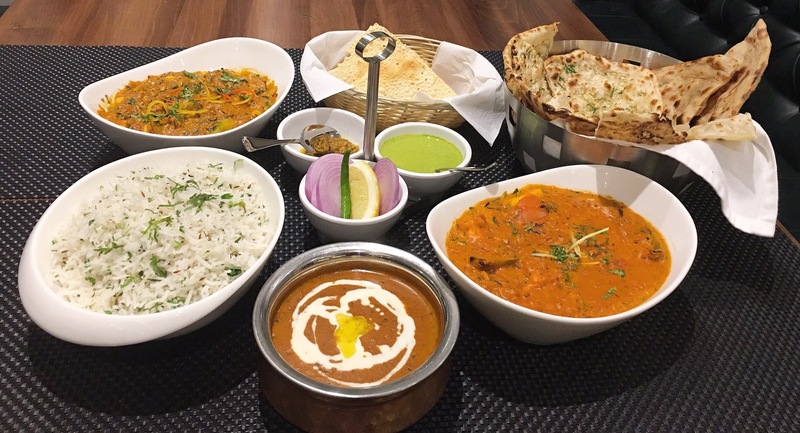 For our mains we ordered everything from Indian cuisine. The three curries- Subz Miloni, Paneer Tikka Masala and Dal Makhani went well with the freshly baked Indian Bread and fragrant Jeera Rice. Each and every main course dish was well made and packed with great flavor and taste. We throughly enjoyed it. 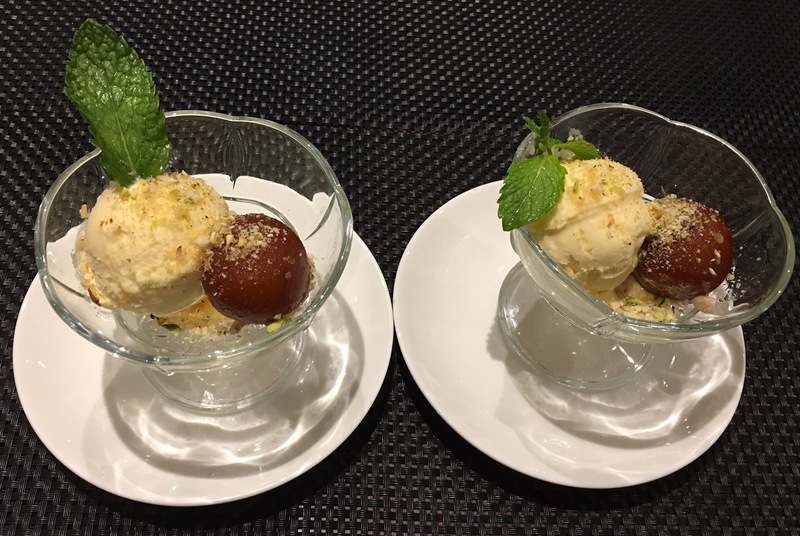 Gulab Jamun with Ice Cream was the dessert that we ordered. The Gulab Jamun was disappointing. It was not soft and spongy. I wish the interior of the Gulab Jamun was cooked well. Its a new place and I am sure they’ll sort out the few flaws. The main course dishes were the stars of our meal. The service was impeccable, the ambience was lovely. 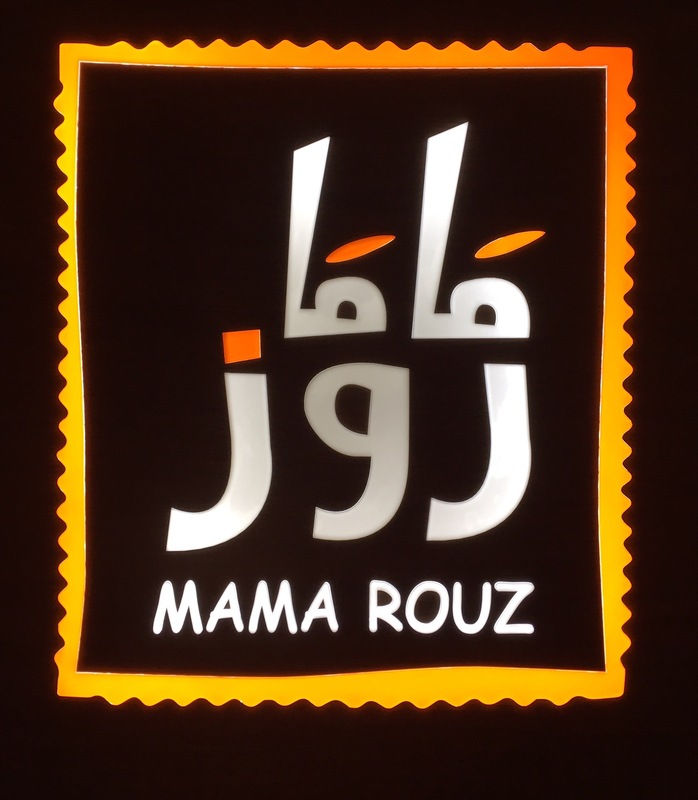 Mama Rouz is a good dining option for people seeking restaurants in Hor Al Anz neighborhood.